FOUR projects have been selected to pitch at the next Harlow SOUP event at Pemberley Academy, Harlow on Thursday 28th February. PHAB4U club – Supporting young adults with to get involved with activities throughout Harlow and beyond. Harlow Grief Support – Supporting anyone throughout Harlow to access free bereavement support. Room with a Loo – Community space offering opportunities for people throughout Harlow in need a loo before they start. Anne Robson Trust Butterfly Volunteers – Supporting patients in Princess Alexandra Hospital who are in the last days and hours of their life, many of whom have no other visitors. Every project will have four minutes to pitch and the chance to answer four questions at the community-led crowdfunding event, after which everyone will then vote for their favourite project. The event is “pay what you feel” and all of the money raised from entrance on the door goes directly to the winning project at the end of the night. Doors will open at 6.30pm for a 7pm start on Thursday 28 February and the evening will also include live music from Anita Schultschik, two homemade soups, bread, salads cakes, tea/coffee and more. Previous winners Plants, Pots & Wellies, who were awarded £600 at the November SOUP, will be updating everyone on how their project is going and what SOUP funds have been spent on. 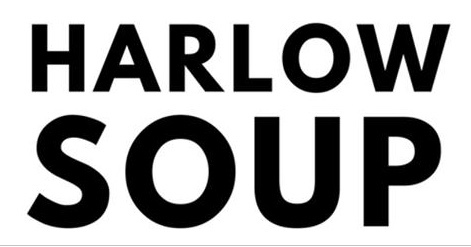 Harlow SOUP winners have included: Streets 2 Homes, ASL (Aspire Support Learn), Plants, Pots & Wellies and Harlow Rock School who received hundreds of pounds towards their respective projects.